Juvederm's Newest Product for the Lips - Doctor Hermann M.D.,P.A. Dermal fillers are taking the cosmetic world by storm recently, and for good reason. These completely safe products help to fight signs of aging and replace volume that aging has stripped away. One of the most popular line of dermal fillers is Juvederm, which just recently announced its newest product designed specifically for use in and around the lips. If you’re unhappy with the plumpness of your lips or want to eliminate pesky wrinkles running down toward your lip, this is the product you’ve been waiting for. There is nothing like Juvederm Volbella, which has received FDA approval for use in lip augmentation and the correction of perioral rhytids, currently available in the United States. It uses very special blend of hyaluronic acid molecules to create a light gel that lasts at least one year while providing a smooth, soft appearance. In clinical trials, 168 test subjects received Volbella to achieve lip fullness and smoother lines around the mouth. Two-thirds of the participants noted significant improvement throughout one year. Lip augmentation is a cosmetic procedure that creates fuller, plumper lips, and it has come a long way since its early days that required invasive surgery for unreliable results. 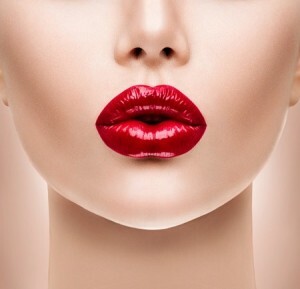 Today’s lip augmentation can be done with one simple, painless injection. That’s exactly what Juvederm Volbella offers to men and women who want to enhance their pouts without looking dramatically different. The lines around the lips are called perioral rhytids. They often appear as straight vertical lines from the nose to lip area, especially for smokers. Many people feel that they are unattractive and want to eliminate them, which is why Juvederm Volbella is formulated to gently fill the wrinkles causing perioral rhytids and help them become even with the surface of the skin once again. Juvederm Volbella should be available in October 2016 for the many eager patients waiting to give it a try!